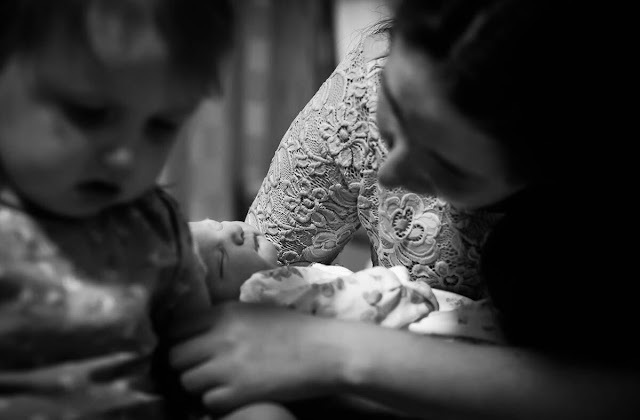 The Second Born Bond | Then there were three..
During my first pregnancy, I relished every moment and every aspect of it. I watched my bump grow and spoke to my daughter as though she was already here; I listened in on her heartbeat at every chance I could and spent time adding bits to my pregnancy and baby journal. 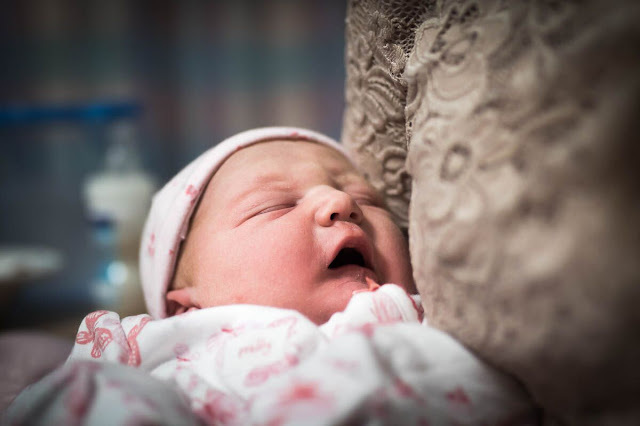 Despite a traumatic birth, as soon as I laid eyes on her I felt the most intense closeness that I had ever felt. With my partner working away, it was me and her against the world. She was, and still is, my best friend and we quickly became thick as thieves. It didn't take us long to decide that we wanted a sibling to join Aoife and luckily we didn't have to wait too long before we were greeted with those tell tale two blue lines. I, somewhat foolishly, thought that my prenatal bond would be the same, if not stronger the second time round. However, with horrific morning sickness and constant nausea overshadowing the first trimester, along with a very busy toddler, the bond just didn't materialise as I thought it would. 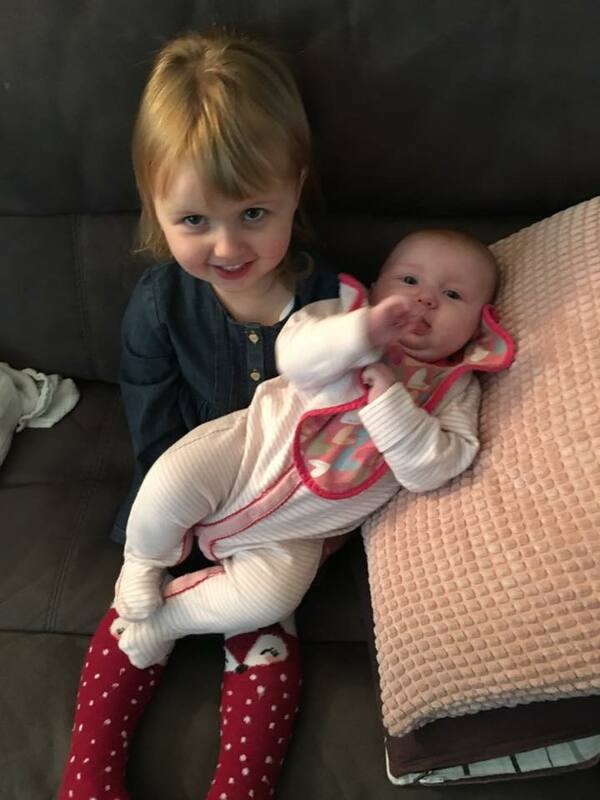 Whilst I still loved being pregnant and feeling the kicks from our soon to be new addition, I struggled to connect with her in the way that I had done with her sister. I do believe that one of the reasons for this was us not having a name set in stone like we had done the first time. I had a name that I loved but my husband didn't like it; it just so happens that we ended up changing her name after her registration to the name that I had always loved. I think if I had known then what I know now, then things may have been a little bit different. During Aoife's labour I was never scared; my full trust was placed in the midwives and doctors. Even once she arrived when I was whisked to theatre to have a spinal due to a severe tear and a large blood loss, I was never worried. I don't know if it was due to the pain relief, my own naivety as I had nothing to compare it to, or because the labour itself progressed slowly once in hospital. All I know was that, despite it being my worst labour, I was never worried for myself or Aoife. Towards the end of my pregnancy with Florrie, my anxiety creeped in and kept increasing. I had been denied a home birth at the eleventh hour as my midwife had discovered that I had experienced a PPH with Aoife - something that I had never been notified about before. The reality that history could repeat itself started to sink in and I was slightly petrified. When the labour started, I instantly knew what it was although I refused to admit it to anyone, including my husband. I knew full well that it was definitely advanced labour and eventually I had to admit defeat and head into hospital; on the drive the labour progressed a lot quicker than I had expected it to (check out my birth story for all the details). We made it into the hospital with minutes to spare, but those few minutes were the scariest of my life. When I heard the words "your baby is in distress" and hearing her slow heartbeat, I felt like I had been punched in the stomach. When she was born and she was quiet, the silence echoed through me and it felt like hours passed until she cried, when in reality it couldn't have been more than thirty seconds. But she did cry, which is why I now feel so guilty for the feelings I felt as some babies don't cry. Some parents don't get to take their little ones home and for a few minutes, I thought that we were going to be those parents. I am so grateful that we weren't, however that moment still haunts me and affected my bonding experience for a while. I became detached and shrunk into myself. 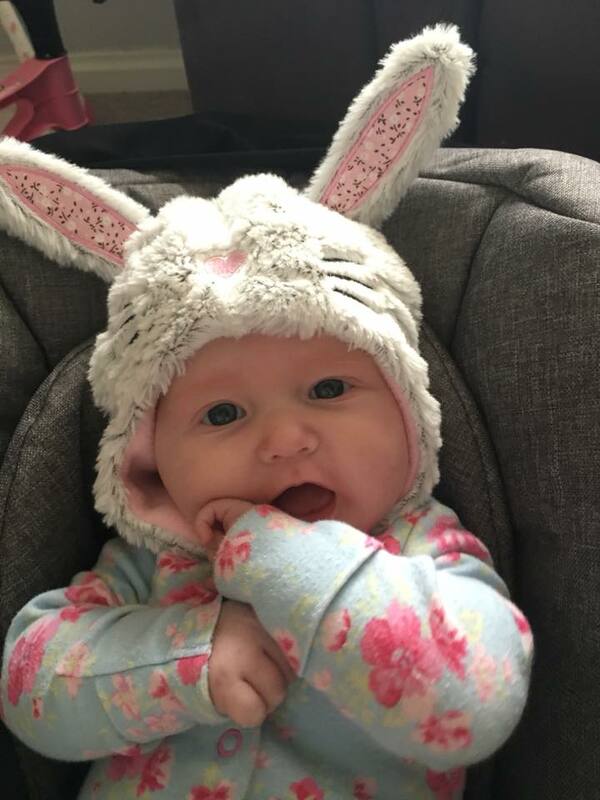 Despite Florrie being fine, I drove myself insane with the "what ifs? "; I blamed myself for Florrie being in distress as I had held off for so long before going into hospital. Florrie's labour, despite her being in distress, was the quickest and easiest labour of mine; minimal bleeding and no tearing. Physically I was on top form, but emotionally and mentally I wasn't. A part of me wasn't ready to allow Aoife to share me as her mum. 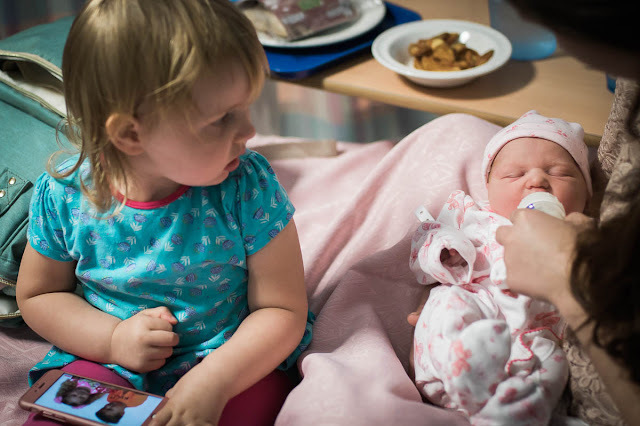 When Aoife arrived onto the ward to see me, she burst into tears and refused to come anywhere near me. This in turn resulted in me crying and wondering if things would ever be the same again between us; for a while they weren't. It took Aoife a while to adjust to us having to share our time with her. In a way, I grieved for my only child - something of which I never thought would happen. Despite Florrie being so desperately wanted, I couldn't help but think how much she had altered mine and Aoife's relationship. There were moments where I cried for Aoife; cried because she did. At the tender age of two, she didn't understand what was going on or who this little being was. If I am being brutally honest, it took me a good few weeks to properly connect with Florrie - my love for her was always there, but the bond was lacking as I was just going through the motions. It all finally fell into place for me when she first smiled at me; the bond just grew from there. "She may not have made it - but she did"
"It was my fault that she was in distress - but I focused and got her here quickly"
"I've robbed Aoife of my full attention - but I've given her the greatest gift of a sibling"
"My life is no longer soley devoted to my only child - but it has been enriched with a new addition"
"Aoife now has to share me - but she has been blessed with the extra love that she will receive from her little sister"
Liz from The Hart of the Munchkin Patch: "Birth complications meant it was much more tricky to bond with my second. The bond was there instantly with #1 and #3, but my 2nd wasn't interested in cuddles or any human contact. The turning point seemed to be when she was 18 months old and her little brother was born. He was very clingy and all about the 24/7 contact. She obviously saw she was missing out on something the other two were getting, and wasn't having that! She's 5 now and is as cuddly (almost) as the other two." Lindsay from Newcastle Family Life: " I bonded with my second the quickest. I was only 18 when I had my first so I really struggled to bond with her as I had no idea what I was doing and found it a bit much. With my second I was much older (29) and knew what to expect and bonded straight away. With my third it took a few days to bond as he had a few problems when he was born so I couldn't cuddle him much." Louise from Little Hearts Big Love: "I struggled to bond with my second as much as I had with my first - it took quite a few months before I really felt that strong bond. I was exhausted and with it came resentment of my second born for taking time away from my eldest child. 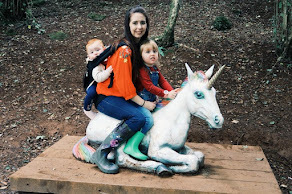 In retrospect it was a combination of a very different journey to having each of my children and having postnatal depression second time around." Vicki from Tippy Tups: "I'm very lucky that I bonded with both my children immediately. I was their mama bear right from the first breath. However pre-natally it was a different story. With my first I was really invested in the pregnancy and already felt connected to her and excited. Second time round I just didn't get that. Pregnancy was something that was happening to me rather than something I felt a part of. I hated every second of it which is so strange as both were planned and very much wanted." Laura from Mind, Madness, Miles and Mum Time: "I postnatally bonded with them equally but I can't explain the bond I had with my son ( first child ) prenatal I just knew I was pregnant after days and just had a connection to him so surreal and amazing throughout the whole preganancy despite bring very sick , maybe as there is only 18 mths between them I didn't have time to relax or connect prenatal with no 2 as I had a very active toddler and a business to run despite the pregnancy being physically easier. " I truly hope that this has helped some parents to realise that they are not alone. I think I am lucky to have felt close to both my babies. Then again 2nd time around was a planned CS so I guess I was a lot more laid back!